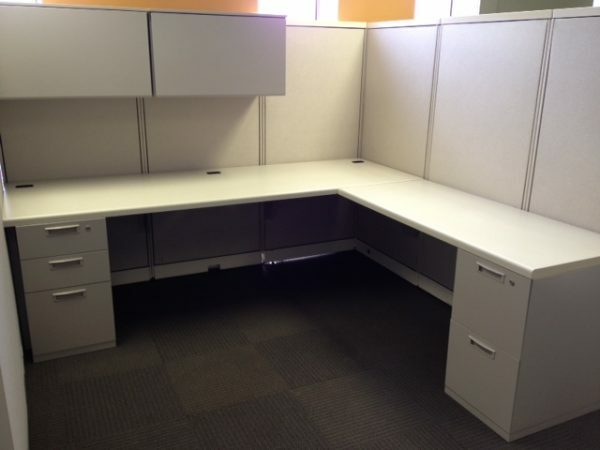 Steelcase Avenir 7.5×7 workstations. Can make other sizes, 64″ high panels with BBF and FF pedestals. Rectangular worksurfaces. Neutral colors so looks good in any office. Good as-is condition and available now.